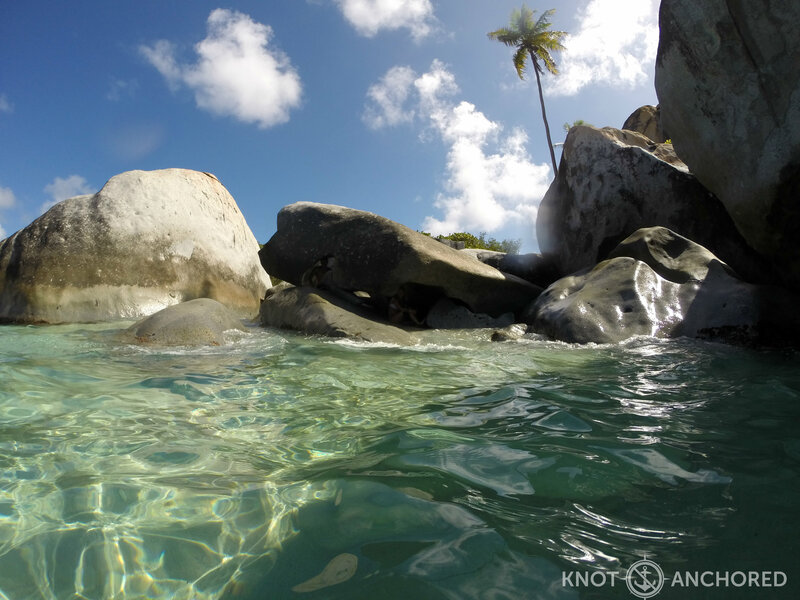 The Baths is another one of those ‘must sees’ here in BVI. If you’re a good swimmer you can tie up your dinghy and snorkel in. 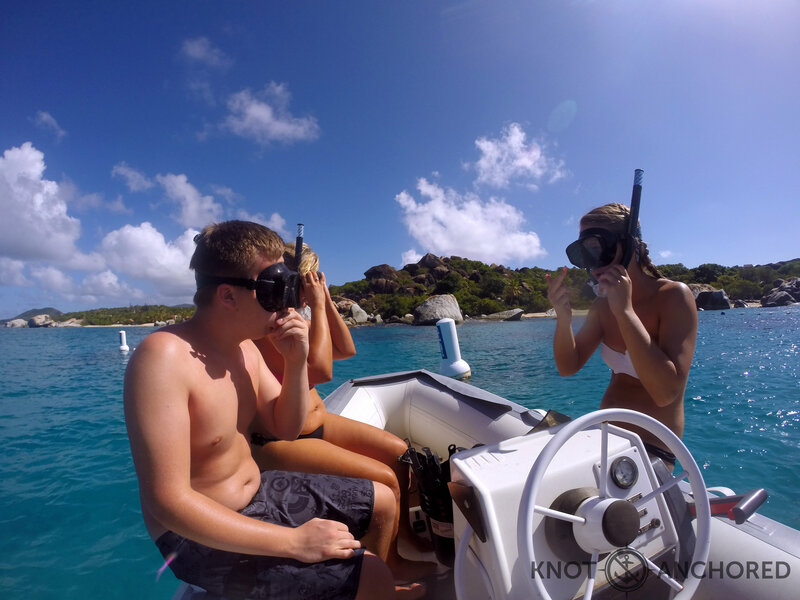 The current is strong here at it’s lowest point so if there’s any doubt about someone’s swimming abilities anchor on the other side of Virgin Gorda and take a scenic car ride – make a day of it! 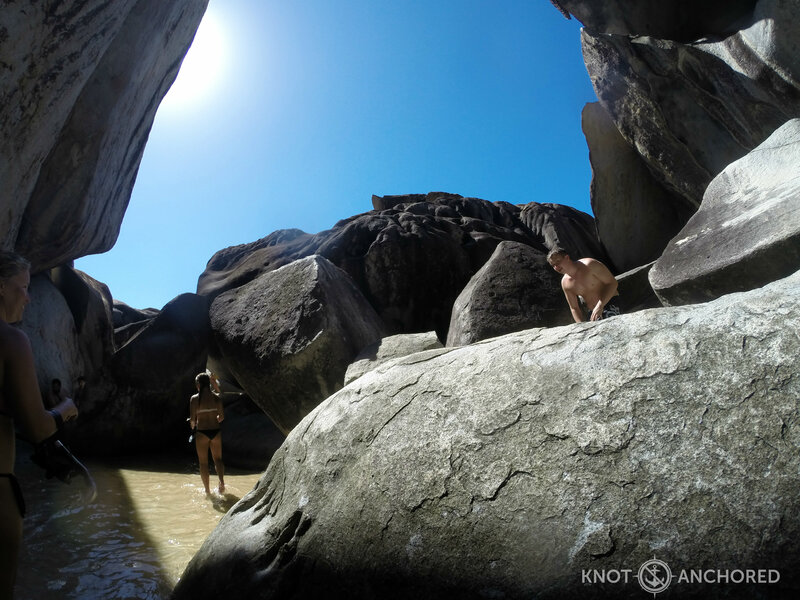 The Baths are a natural phenomena. 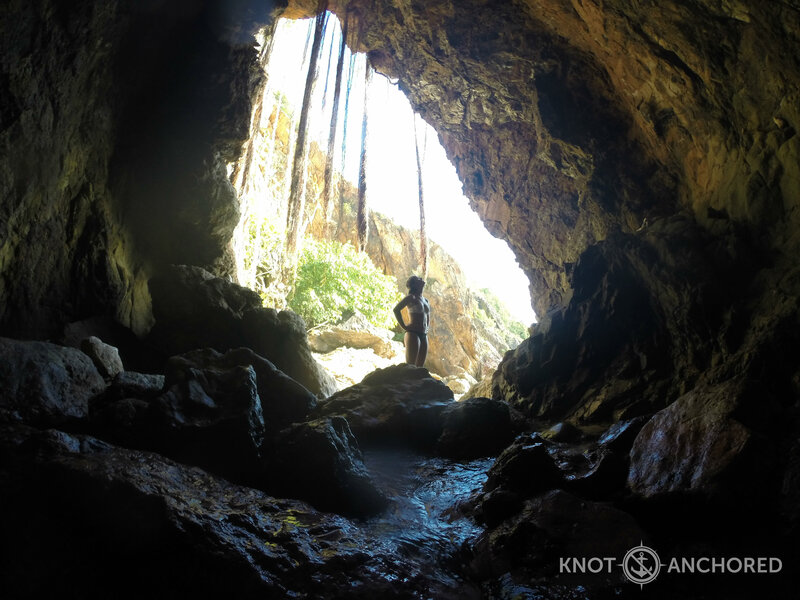 Around 120 million years ago violent volcanic events began to form the Virgin Islands. 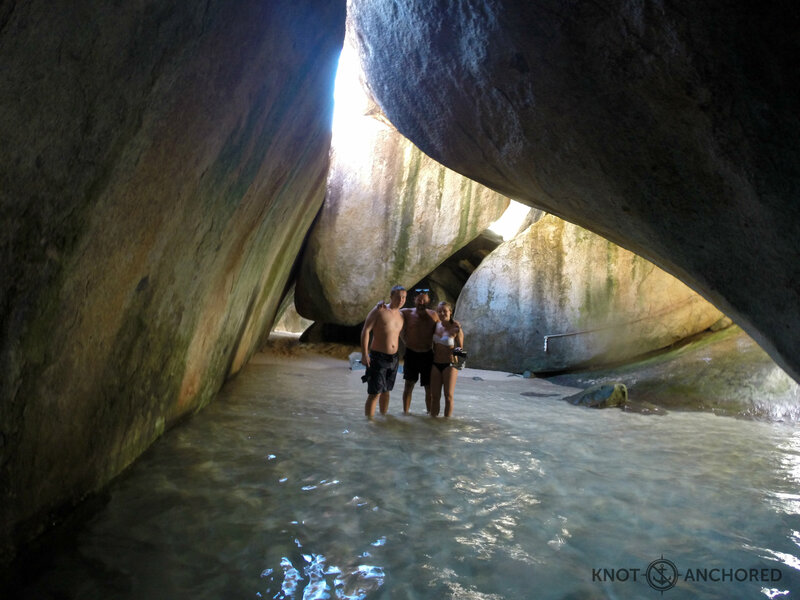 Magma formed granite slabs on the Caribbean sea floor. That took another 35 million years. After another 35 million years, plate movements a.k.a. earthquakes, shoved those granite layers up and into the light of day. The pieces of granite started off larger and more angular then they appear today. 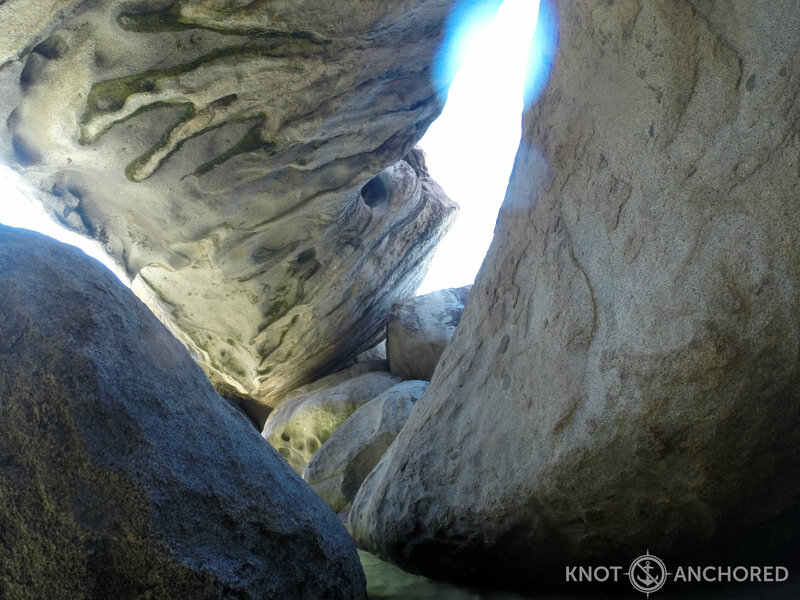 Time, weather and a chemical reaction too involved to get into has created these impressive caves and grottos.